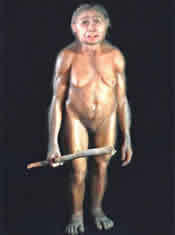 Human pygmy or hobit found on Flores is not a different species from modern humans. Research shows, the bodies hobit be stunted because of lack of iodine. The results of this controversial notion that breaks down an estimated live hobit 15,000 years ago was a new species different from human beings. 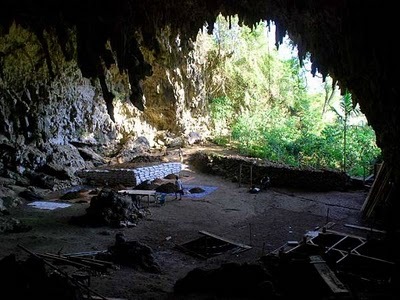 Even species that have been given the name of Homo floresiensis, according to the invention that is located on the island of Flores. The result of the research was published finally in the journal PLoS ONE recently. Professor Oxnard, said recent discoveries have confirmed his theory that hobit is the same species than modern humans. Based on the analysis, there is no difference between hobit with modern humans, or Homo sapiens. Hobit delay in growth is due to congenital hypothyroidism or deficiency of thyroid hormone that causes alteration of growth or cretinism. "Cretinism caused by several environmental factors, including iodine deficiency or deficiencies," said the Professor of Oxnard, quoted by the ScienceDaily. He believes that the lack of intake of iodine in those days was the cause of the cretinism in hobit human beings. According to him, this is consistent with the trend of the additive hypothyroid endemic cretinism which occurred in Indonesia today. Famous fossil human Hobit were discovered in 2003 in the Liang Bua, a cave on the island of Flores, East Nusa Tenggara. The scientists found it while searching for evidence of the first human migration from Asia Australia. Popularity hobit men ever raised in the film trilogy The Lord of the Rings is phenomenal. From there hobit human depicted inhibited.